Terri “Grit” Reed, age 61, passed away peacefully at home on Tuesday, January 2, 2018. She was born January 28, 1956 in Columbus, Ohio to Russell and Genevieve (McKinney) Draughon. She attended Linden McKinley High School. Terri married Russell Reed in 1986 at St. Paul’s Cathedral. Terri’s professional career consisted of being a Dietician at Westminster Thurber Towers, Bartender at Ms. Ruth’s Lounge, Housekeeper at Capital University, and Professional Nanny. To know “Grit” was to love her. She was an incredible cook and counselor specializing in both comforting words, as well as food including chicken and dumplings, sweet potato pie, rigatoni, and of course…grits! She was the “Big Momma” of the Draughon family and hosted many events to bring everyone together. She demonstrated a deep love for both her family and The Lord. For many, Grit was the shoulder to lean on, the source for sound advice, a go-to prayer warrior, a guaranteed good laugh, and a meal that would change your life. She is truly a legend and leaves her mark on all who where blessed enough to know her. Terri is preceded in death by her Husband, Russell Reed, Mother, Genevieve (McKinney) Draughon, Brothers Thomas Draughon and Leon Draughon. Terri is survived by her father, Russell (Dalene) Draughon; daughters, Alishia Draughon and Tova Howell; siblings, Chrisolene Johnson, Trina Draughon, Jaymes (Cyndi) McKinney, Stephon Draughon, Shawn (Ashleigh) Draughon, and Melissa (Terrance) Majors; grandchildren, Antonio (Alexis) Howell, Rickesha Drew, Attiyah Jackson, DeJuan Jackson and Alijahwon Tarvin; great – grandchildren, Tayvion Howell, Lamar Howell, and Antonio Howell; and a host of other relatives and friends. 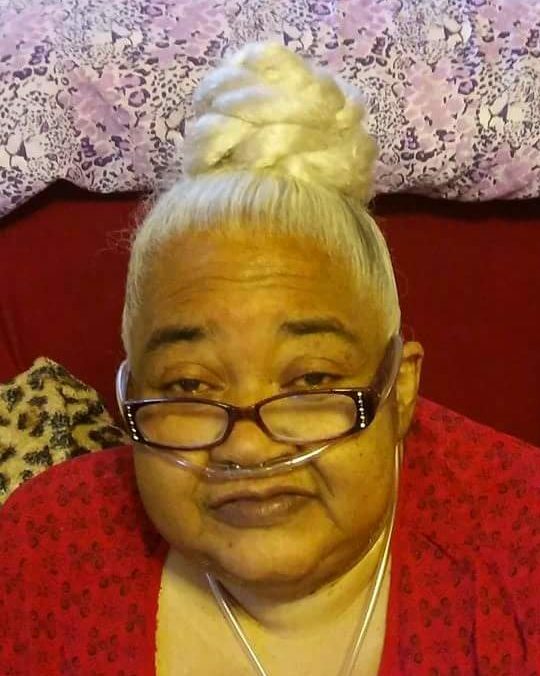 Visitation 11:00am and Funeral 12:00pm Friday, January 5, 2018 at MARLAN J. GARY FUNERAL HOME, THE CHAPEL OF PEACE NORTH, 2500 Cleveland Ave.
My sista you will be well missed.God has called you home.Your Struggle Is Over.To Family May God Comfort You @ Give You Peace. I Love All Of You. Cousin, we will miss but always remember our fun times. God bless the family! We will Continue to pray for you all!